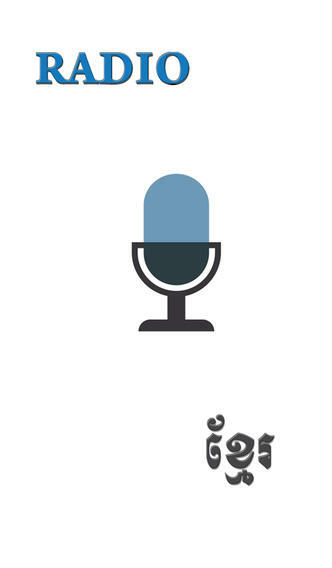 Radio for Khmer (in Khmer Language) by Khemara-Soft lets you listen the most popular Khmer Radio from the Web archiving in the convenience of your palm in one place without searching everywhere, stay up to date about what’s happening in Cambodia and the world, no matter where you are. 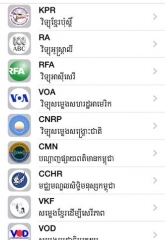 -The Khmer Post Radio (KPR). 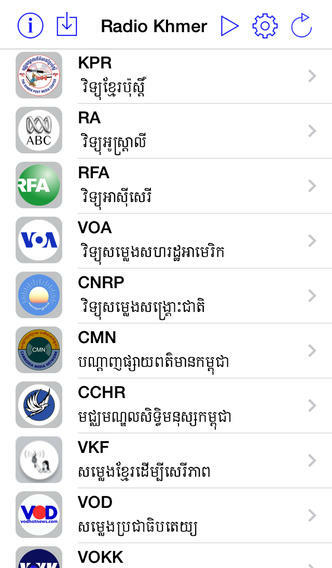 * All Khmer Radio links are organized in one page. Radio link not working? or you would like us to add more channel that you know? *** Some channels may not work, due to timing broadcasting. *** Internet connection required for the application to run and fuction properly. 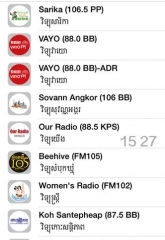 Please add Candle Light Program to your Store Software Radio for Khmer. Recently, I could not listen to koh santepheap radio. When I attempted to stream live, it would pause and it doesn’t do any further. But other stations are working fine. Thanks and really appreciate for having this program available for iPhone app. Everything are back to normal now. Please help me out.Thank you very much. 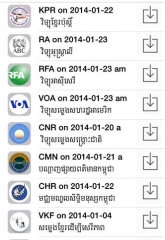 I found some more radio link, please add to Khmer radio. thank for all your hard work, only Khmer radio that make all people live abroad know about out Khmer news. Thanks for this App. I like it very much……. Good job and keep improving! Thank you very much. I love to listen to monk talk at 3:00pm over at california or at 5:00am at Cambodia. I want to encourage Khmer People to listen and put you heart in it. Thanks for this App! I like it very much….. Good job and keep improving! 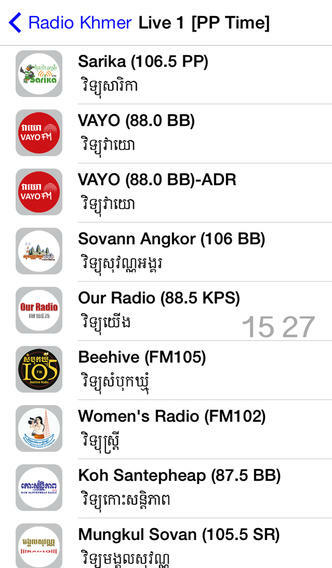 This is a great radio app for all Khmers to enjoy….And especially it is free. Thank so much to the creator & producer of this app. It’s free, but you need to download by yourself. You need to use iDevice like iPhone/iPod Touch or iPad to download it or use iTunes from PC or Mac then syncronize back to iPhone/iPod Touch or iPad. like befor. DO you chang your program Or something wrong ? I hope can hear it again thank you . How are you today ? Thank you very much to everybody. Now i can heard the Radio Mongkul sovan (105.5SR), But it not smooth,it chopping Chopping, so I’m very hard to listen it. I mean, I heard they talk one or two worlds and stop than talk .. stop… talk ..stop so i don’t know what they want to talk about. About internet service is good. So I hope you can help to hear it very well. Sometime it might be the server that they host their channel not fast enough or slow bandwidth. I am wondering how to integrate my radio live to your app! Can u help me adding my channel to your app? Thank you for contacting us at KS. Can I know what is your channel Radio named? Can you give me the IP link to your live channel please? I would like to tell you that, I can’t listen Mungkul sovan (105.5SR) a few month ago, after it heard cut…..cut or chopping like that. So i hope you can help me to listen it very well. thank you very. Thank your good idea made these program too. I write this email to you to request for adding of KPPM-Radio Online to your service for people enjoy listen on i-phone & i-tune program. 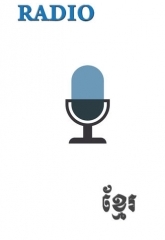 I am a producer of World Khmer Radio, an online radio for Khmer and by Khmer all over the world. We have been in business fr the past 3 years and have an adequately large following. Lately I have received complaints from smart phone users who listen to http://www.worldkhmerradioonline.com using you app that the casts have not ben updated since early December. I write to request your assistance to look into this matter and help us improve our service. I heartily thank you in advance. Sir/Madame: Me, San Suwith, again. I appreciate your assistance in helping to update the daily WKR casts. 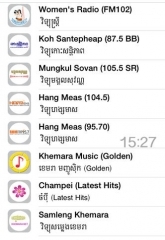 This is a follow-up to my request following complaints from WKR listeners who use your Khemera Soft Radio Khmer app. Our listeners abroad who prefer smart phones to laptops have complained that WKR broadcasts have not been updated since 6 December 2012. Since we at WKR have not missed a single day of transmission since the start of our station, I beg of you to take a look into this urgent matter. Dear Mr. Suwith, Thank you for contacting us at KS. We have a look at that matter and found out that WKR pages has been modified folders and contents. We have fixed the links ready, all come back to normal and up to date. 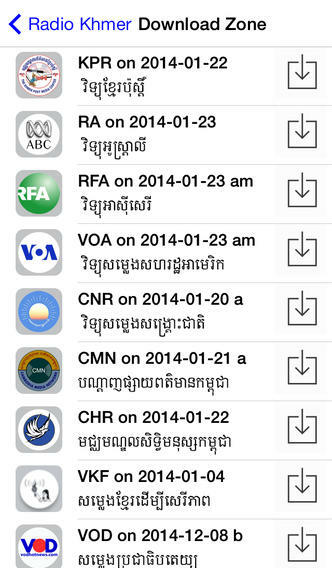 I can’t open khmer radio app. It crash. 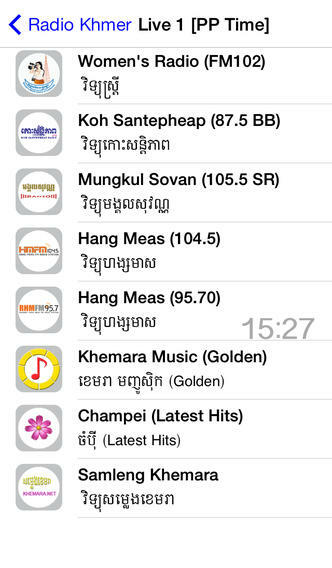 I also can’t access radio khmer on my iPod starting from today. It worked fine yesterday. Please try to delete it and reinstall again. I’ve tired deleting it and reinstalling it again but when you try to load the app it just goes back out. previous version was working fine until update. Sorry to hear that, will try to fix, but we are not guaranty as Apple always like us to use the latest SDK. Can upload old version to me. I have the same problem as the above comments. After the update, the app hasn’t been working since. Everything is updated and I tried to uninstall/reinstall it but no use. I use my iPod touch to listen. Is there any way to get the previous version? Version 4.9 is on it ways now. Sorry for any inconvenience and thank you for be patience. Now fixed temporally, and will fix again after Khmer New Year. Wish you all a happy Khmer New Year and be safe. First of all I would like to say thank you very much for adding our Radio Samleng Khemara to your Radio Application, but unfortunately it has not connected to the radio server. I appreciate very much if you could check the IP address and port of the radio and make it work properly.